For most creative professionals, finding that happy balance between passion, talent and opportunity is a lifelong undertaking. Figuring out that proverbial niche as a videographer may take just as long (or at least feel like it). Ten years ago, I had no idea that freelance graphic design and a strong interest in documenting travel, waves and concerts would ultimately lead to a fun and rewarding video production business. And I’m not flying across the world shooting surf documentaries (maybe next year), but instead, I’m growing a sustainable video business that could eventually take me there. As a budget DSLR shooter with no film school background, the biggest challenge starting out was simply finding paid opportunities to use my camera. 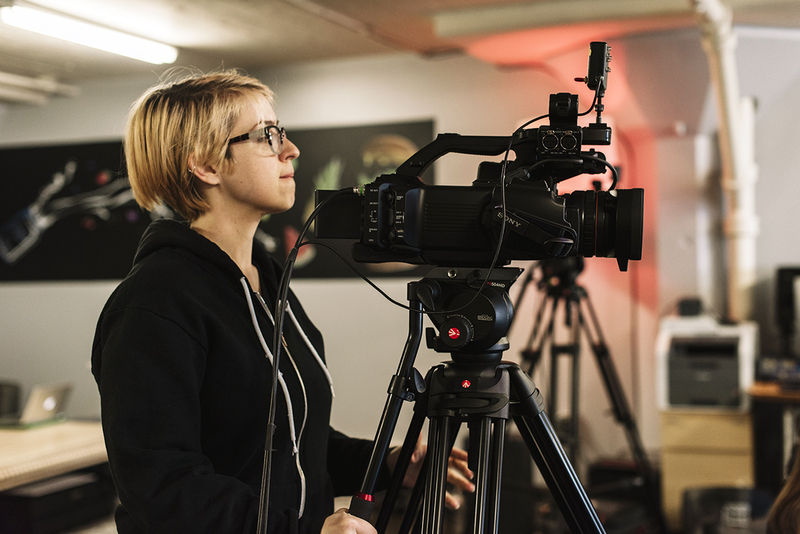 As the New York Times points out, even those with a four-year background in film school are having a tough time after graduating. It’s easy to know what you love to shoot. For me, personal projects are always the most fun and rewarding, but not necessarily what pays the bills. The path to that opportunity was a long and winding road full of challenges, hard knocks, self-doubt and ultimately, self discovery. Although my first media position at a local firm left a lot to be desired, in retrospect that structure was critical to my own independent growth. Moving forward, I was ready to acknowledge and take on the responsibility, expense, and workload of managing my own business, and I genuinely enjoy it today. So how can you discover your own niche as a videographer? For me it’s been a lot of learning and creating at every opportunity. The following suggestions are by no means a business plan, but simple lessons that I’ve learned along the way. Regardless of how you get there, the most important rule is to stick with it and keep learning! Trust and believe that finding your niche will happen organically. The saying, “An overnight success takes 10 years,” definitely applies here. A passion for creative work led me ultimately to realize that I enjoy being in the field, directing, shooting and producing videos. This is not my educational background, but a personal decision to do what I enjoy: being outdoors, working with people, operating camera equipment and creating something tangible at the end of the day. Early in your video career you have to take (or even make) opportunities! Experience in the field is priceless and sometimes you have to get it where you can. For me, this meant working with friends for little or no money while I learned the craft and slowly built up funds for better equipment. With help from online tutorials like this one here on CreativeLive, I started shooting a lot of event videos to help friends and create portfolio collateral early on. Bouncing around to different gigs will help you figure out what you don’t want to do as much as what you love. Take every job early on, and learn as much as you can. Ready to learn how to edit your videos like a pro? We got you covered with Final Cut Pro X Bootcamp with Abba Shapiro. This bootcamp will take you through this complex software start to finish, and leave you with the skills to create the videos of your dreams. You will botch jobs. You will miss critical shots. You will lose footage and audio and experience heart-stopping gear catastrophes. Make these your opportunities to learn. There are so many variables in video production that there will always be an issue of some type. Dealing with problems calmly and confidently is a mark of an experienced videographer. It’s ok to learn lessons the hard way, as long as you really do learn something. And don’t make a habit of it! There’s no denying the power of collaboration. 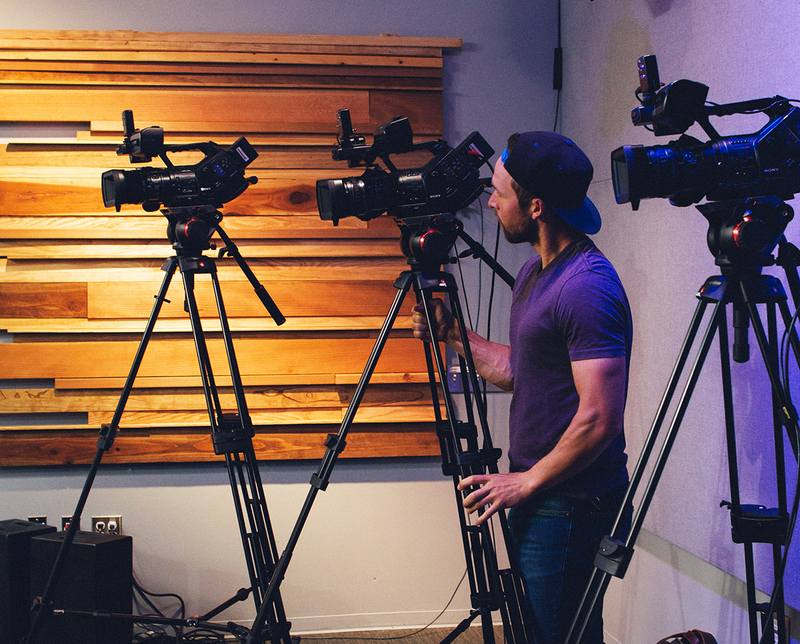 Just being around and talking with other videographers is invaluable to finding your niche. Through conversations about gear, workflow, camera settings and clients you can learn an incredible amount in a single afternoon. I’ve found the videography community to be a very friendly, non-competitive bunch that will happily answer questions and help you find work. Making connections with other videographers is easier than you think thanks to sites like Meetup. Operate your camera as much as possible. Produce personal projects. Buy the biggest hard drive you can afford and save everything. After a year, you will look back on every project file and remember what you loved (and what you didn’t) and see your own growth. Believe me, it’s humbling and also amazing to reflect on your own progress with the craft. 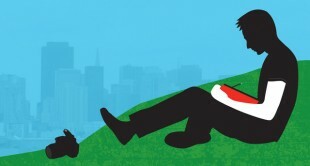 Even as you settle in a niche, it’s important to take on personal and side projects. 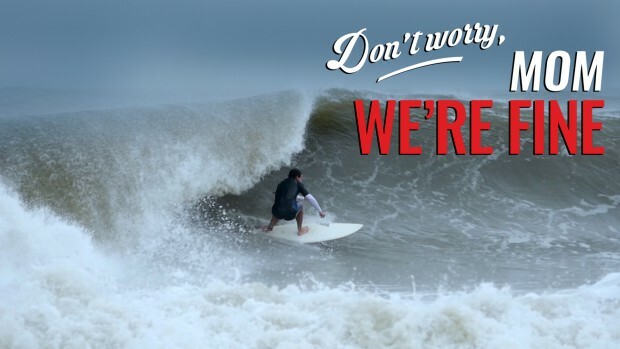 One of my favorite projects of 2015—a surf video from Hurricane Joaquin—was made purely for personal enjoyment amidst a very busy work week, but the after-hours work producing it reminded me why I shoot video in the first place—because it’s fun! 6. Develop Your Own Style. Every artist has their own style. The reality is that the barrier to entry into the field of videography will continue to drop in what CNBC calls a “market free fall.”. By next year, kids’ meals will likely come with a 4K quadcopter (not really, but close…)! Creativity is truly the only way to stand out today. Discovering your own preferences (technically and aesthetically) is critical to establishing your portfolio and setting yourself up for success. Like many, I stared out shooting DSLRs for years before diving into cinema cameras. The attention to detail required to shoot on budget gear will cultivate good composition habits and technical skills. Developing a personal style allows clients to build trust in your skills and ability to consistently execute jobs without surprises. 7. Don’t Be Afraid to Take Risks. What will take you to that happy point of sustainability is not the newest gear or six semesters of film school, but a drive to pursue your craft every day and take advantage of any opportunity that may arise. Some of my early mentors have grown into great partners and even guided me to my current video niche: real estate marketing. Through my quest for a sustainable video business, I befriended the team at Keen Eye Marketing, with no idea that two years later I would be in charge! Making the investment in Keen Eye didn’t happen lightly—it was a risk and a wager on my own ability to deliver a high quality product while also managing employees and the everything else that comes with owning a small business. Finding that balance between passion, skill, and opportunity is critical. It’s important to acknowledge your own limitations and accept the fact that you might not jump into a dream career out of the gate. At the end of the day, if you are cultivating your craft and creating new experiences, you WILL find your niche. Getting ahead in the video industry is challenging. But challenges are always an opportunity for growth. In your work, if you can embrace the challenges, push yourself to do the best work possible and stay focused on what you want to achieve, nothing will keep you from doing the work you love. Andy Lassiter writes about videography and the life of a creative professional for eBay.com, an affordable way to equip yourself to find your creative niche. 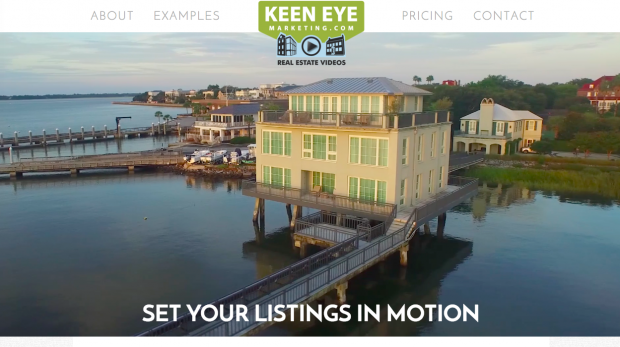 Andy Lassiter is the owner and creative director behind real estate video production company, Keen Eye Marketing.